Providing you the best range of natural loose black diamond, real natural black loose diamonds (fancy shape), black monzonite diamond ( black moissanite stone ), black moissanite stone ( black moissanite stone ) and fancy black moissanite diamonds with effective & timely delivery. Backed by years of industry experience, we are engaged in offering a premium quality range of Natural Loose Black Diamond. At Flics International we buy the best diamond rough from world's most popular mines. Our all Natural Loose Black Diamond is being manufactured under very sharp observation of Diamond experts. We research more on rough before starting working on diamonds manufacturing. We are expert in manufacturing Natural Loose Black Diamond GIA certified, Natural Loose Black Diamond, Loose Polished Black Diamonds, Real Natural Black Loose Diamonds, White Loose Diamonds, Certified Loose Black Diamonds, Natural Round Black Loose Diamond, VVS Quality Natural Black Loose Diamond and all kind of Natural Loose Black Diamond. Our very high skilled diamond engineers are able to make any shape in a diamond which you can think. All Natural Loose Black Diamond manufactured by Flics International mostly comes with all Excellent cut. Backed by years of industry experience, we are engaged in offering a premium quality range of Real Natural Black Loose Diamonds. At Flics International we buy the best diamond rough from world's most popular mines. Our all Real Natural Black Loose Diamonds is being manufactured under very sharp observation of Diamond experts. We research more on rough before starting working on diamonds manufacturing. We are expert in manufacturing Real Natural Black Loose Diamonds GIA certified, Natural Loose Black Diamond, Loose Polished Black Diamonds, Real Natural Black Loose Diamonds, White Loose Diamonds, Certified Loose Black Diamonds, Natural Round Black Loose Diamond, VVS Quality Natural Black Loose Diamond and all kind of Natural Loose Black Diamond. Our very high skilled diamond engineers are able to make any shape in a diamond which you can think. 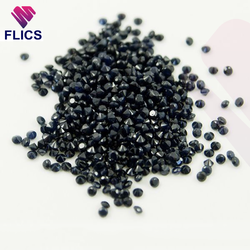 All Real Natural Black Loose Diamonds manufactured by Flics International mostly comes with all Excellent cut. With an objective to fulfill the ever-evolving demands of our clients, we are engaged in offering a wide assortment of Black Moissanite Diamond. Black Moissanite Diamond which is also called as Lab created diamonds or Lab Grown Diamonds. At Flics International we buy the order diamond rough from world's most popular labs like Russian labs is also on priority. Our all Black Moissanite Diamond are being manufactured under very sharp observation of Diamond experts. We research more on rough before starting working on Black Moissanite Diamond manufacturing. Our very high skilled Black Moissanite Diamond engineers are able to make any shape in a diamond which you can think. 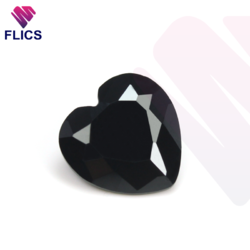 All Black Moissanite Diamond manufactured by Flics International mostly comes with all Excellent cut. Our manufactured White color Black Monzonite Diamond used for making lovely wedding band, Earring, Pendant, Studded watches, Bracelets, Engagement ring, Nose ring, key chains and so on in Gold/Silver/Platinum. Packaging Details: We are at Flics International care very most on shipping any consignment because we know that we are in the diamond business which is the most precious item in the world, So when we get an order we ship them with a very high-quality Box and inside box also it is covered with a high-quality rexine cover which protects diamond from any types of damage. This Black Moissanite Diamond will be covered with an insurance also if you will purchase or request to add as an add-on to your order. So don't worry about your shipment while doing a business with Flics International. With an objective to fulfill the ever-evolving demands of our clients, we are engaged in offering a wide assortment of Black Moissanite Stone. Black Moissanite Stone which is also called as Lab created diamonds or Lab Grown Diamonds. At Flics International we buy the order diamond rough from world's most popular labs like Russian labs is also on priority. Our all Black Moissanite Stone are being manufactured under very sharp observation of Diamond experts. We research more on rough before starting working on Black Moissanite Stone manufacturing. Our very high skilled Black Moissanite Stone Diamond engineers are able to make any shape in a diamond which you can think. 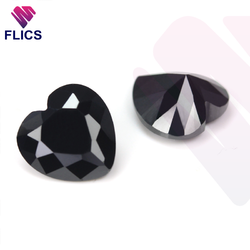 All Black Moissanite Stone manufactured by Flics International mostly comes with all Excellent cut. Our manufactured White color Black Moissanite Stone used for making lovely wedding band, Earring, Pendant, Studded watches, Bracelets, Engagement ring, Nose ring, key chains and so on in Gold/Silver/Platinum. Cut Princess cut,Emerald cut,Diamond round cut,Cushion cut,Radiant cut,Pear cut Etc. With a firm commitment to quality, we are involved in offering a wide ambit of Black Moissanite Diamond or Black Moissanite Beads. Black Moissanite Diamonds which is also called as Lab created diamonds or Lab Grown Diamonds. At Flics International we buy the order diamond rough from world's most popular labs like Russian labs is also on priority. Our all Black Moissanite Diamonds are being manufactured under very sharp observation of Diamond experts. We research more on rough before starting working on Moissanite diamonds manufacturing. Our very high skilled Moissanite diamond engineers are able to make any shape in a diamond which you can think. 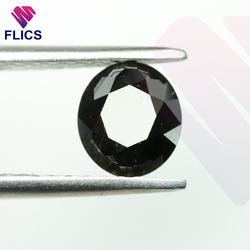 All Black Moissanite Diamonds manufactured by Flics International mostly comes with all Excellent cut.